BRYAN EATON/Staff photo. Students from the Newburyport Montessori School sing "My Pretty Planet" on Monday morning. 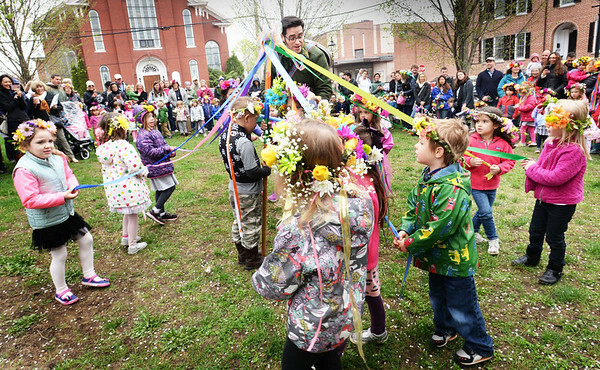 The students were celebrating May Day with a parade through the downtown, then going to Brown Square for music and dancing around a Maypole.